The Harrison Act and the First World War both reach centennial commemorations in 2014. Beyond poppies, what do their written histories have in common? To be sure, a great deal of ink spilled over the origins of war, both Great and Drug. But is our understanding of battle as sure for the Harrison Act’s legacy? We must, I believe, at this centennial moment, recommit ourselves to a thorough reconstruction of the drug war’s front lines. Not merely to memorialize the fallen, though this alone would be worthy, but to properly understand what follows from creation and control of illicit enterprise. A hoary hangover from the Progressive era, the Harrison Act passed with minimal debate and resounding effects. The prelude played up the lawlessness and moral evils of drug-crazed, racially charged fiends impermeable to bullets. Contemporary commentators pointed out the mismatch between taxing those involved in the legitimate trade in narcotics and creating an unregulated ‘black’ market that made de facto criminals of doctors, addicts, and traffickers. As Rufus King wrote in 1953, the Harrison Act “jail[ed] the healer and the sick.” Interpreted as ruling out maintenance, the Harrison Act upped the ante on criminalization. A decade out, Congress called for heightened enforcement and thus triggered the prison overcrowding that led to the building of the US Narcotic Farm—a prison/hospital for Harrison Act violators. 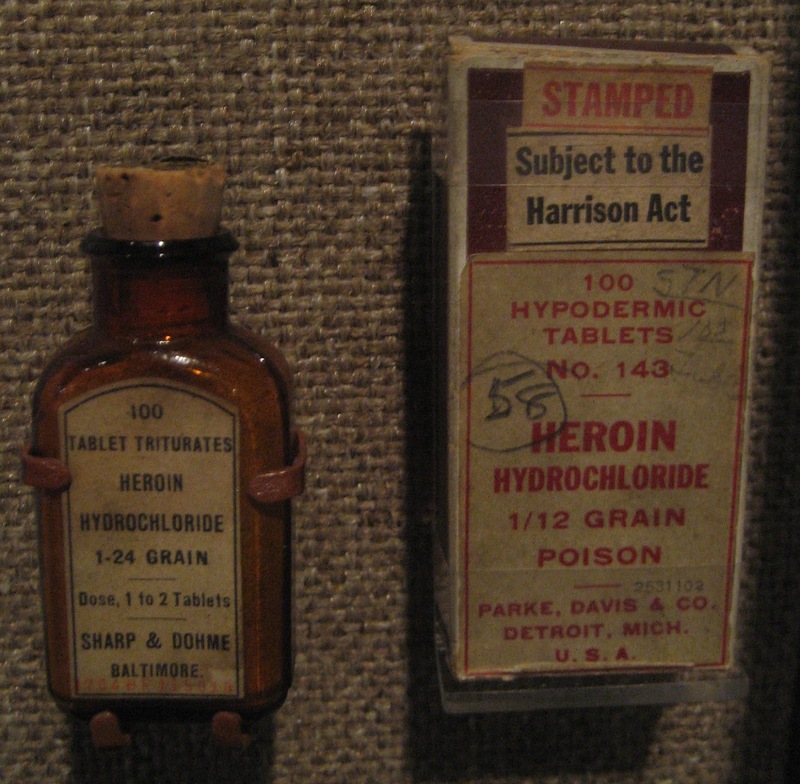 The Harrison Act was just one of several early twentieth century laws that contributed to the development of a dynamic drug-war system between Mexico and the United States. Already the 1909 Opium Exclusion Act had inspired “prepared opium” shipments from Asia to Mexico for smuggling north. Other restrictions in the U.S., from temperance laws to the shuttering of horse tracks in California, had pushed vice into the borderlands and helped to turn Tijuana, Mexicali, Juarez, and other border towns into notorious “sin cities.” Harrison, though a relatively modest regulatory act by today’s standards, intensified these developing transnational flows whose consequences today are so tragic. Check back on Thursday for a longer essay on the act’s legacy by Suzanna Reiss, an Associate Professor of History at the University of Hawai’i and author of We Sell Drugs: The Alchemy of US Empire (University of California Press, 2014). In the meantime, we invite Points readers and contributors to respond with their own interpretations of the long-lived Harrison Act in the comments below. That members of Congress from the South supported such a large increase in federal power says a lot about the fear of drugs, sometimes combined with racism.